Most people who have acne think of washing the face as a way to get rid of grease, grime, and oily sebum that can plug pores. The most successful acne face wash products, however, also lock in moisture that keeps skin soft, supple, and acne-free. 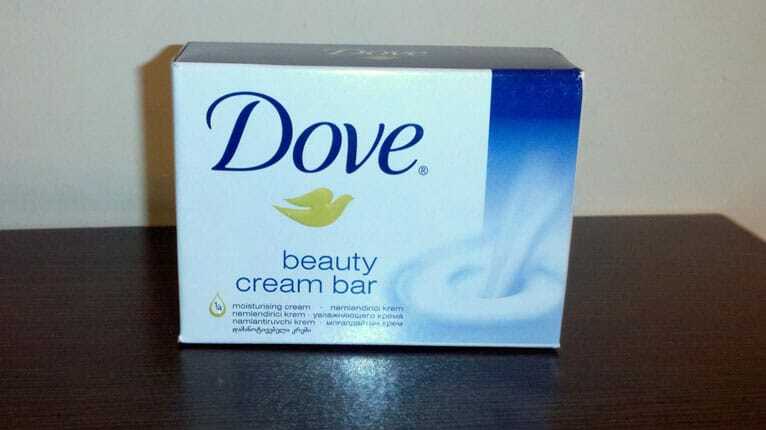 Dove’s beauty bar is one of the inexpensive choices for face cleansers that will not irritate the skin. The most successful system, however, is highly depended on your skin type and the severity of your condition. Barring that your acne is so severe you need medical assistance for it, there is a large variety of options available over-the-counter to choose from. For example, if you have acne on dry skin, you need something gentle enough to cleanse and exfoliate but not dehydrate, like a Neutrogena cleanser. If you have oily skin, you’re looking to exfoliate and combat oil production with a product like Cetaphil. If you have combination skin, you need something that can treat your unique skin and balance it out, like Exposed Skin Care. In this article, we present you with our top 10 best acne face washes depending on skin type based on Amazon-feedback as well as a very detailed explanation of why face washes work very differently depending on their formulation. The Exposed Facial Cleanser is our top pick. This cleanser is one of the very best on the market and it works for all skin types. The gentle yet rich formula is ideal for anyone, and it’s especially good for those with sensitive skin. It’s non-comedogenic, hypoallergenic, and soap free, with just 0.5% salicylic acid. Plus, it’s made with a combination of natural ingredients, including sage leaf extract, and vitamins like pro b5. Pros: One of the only cleansers on this list that’s good for all skin types. Can be used twice daily. Cons: This is not actually a con, but their face wash is part of a comprehensive acne treatment system that effectively treats your skin while helping you save a bundle on the products that should be part of your skincare routine for best results. They have the best guarantee we have seen so far anywhere and you can read our review of the complete Exposed Skin Care kit here. This foaming face wash is made by a brand used most by eczema sufferers, too. Its formula uses a small 0.5% of salicylic acid and ACTIVE NATURALS®, which is their moisture-rich soy formula that helps to improve skin texture and tone. Gentle enough to use daily, this oil-free, non-comedogenic, hypoallergenic cleanser is good for treating and preventing blemishes and breakouts without over-drying your skin. Pros: Its formula uses soy to reduce the look of discoloration and blotchiness, making skin appear brighter and more radiant. Cons: Although it’s made by a brand that makes products for eczema sufferers, this face wash isn’t necessarily recommended for eczema. Always confirm with your dermatologist first if you have these special conditions to consider. This foaming cleanser is a soap-free gel that will clear away clogged pores without drying skin out. Designed not to disturb the skin’s natural moisture balance, the formula is made with astringent lavender extract to minimize pores and balance PH, while the anti-inflammatory balm mint extract soothes inflammation, giving skin a visibly clearer appearance. It uses alpha hydroxy acids and quillaja saponaria to deep clean pores and fight acne-causing bacteria. Pros: Designed with sensitive skin in mind, this facewash is good for everyone. It is infused with essential oils and balm mint to soothe the skin and leave it balanced and moisturized. Plus, it’s certified cruelty-free. Cons: It’s a bit on the pricier end for face washes, with an 8.4 oz bottle costing almost $40.00. However, a lot of customers say it’s well worth the price. Here are seven more that are worth a look if you think you need some more options. This dermatologist-tested formula is a foaming face wash that works incredibly fast. It can make skin visibly clearer in as little as 12 hours. It’s made with 2% salicylic acid, Acceladerm Technology™, and PHAs, polyhydroxy acids that open pores, improve skin moisturization and calms the skin. It unblocks pores, kills bacteria and calms and soothes the skin. This Clearasil product is guaranteed to be so good that if it doesn’t work for you, they have a 30-day money-back guarantee that you can take them up on. Pros: This is the fastest-acting formula on this list. If you have normal to oily skin and you’re in a rush to have your skin look clearer, this is the acne wash for you. Cons: Due to its higher percentage of salicylic acid, this formula isn’t recommended for those suffering from acne and dry or sensitive skin. It can be very drying and dry skin is an enemy of acne-free skin. It’s possibly the reason why some users complain it made their acne worse. One of the best face washes for sensitive skin, this soap-free, fragrance-free, non-comedogenic cleanser works to remove excess oil from your skin without irritation. It’s great for oily and combination skin types, as it cleans and purifies without making the skin taut and dry. Its formula is glycerin-based for a gentle cleanser that won’t provoke even the most sensitive of skin types. Pros: This formula is designed specifically with sensitive skin in mind, and can be used on the most severely sensitive of skin types. It’s also allergy and dermatologist tested. Cons: While it is excellent for those who have sensitive and reactive skin, this formula doesn’t actually contain any acne medicine. It’s just glycerin-based, which is why it’s so great for removing oil and dirt, or even makeup. This is a low foaming formula that doesn’t produce much lather or foam which, for some, may be quite drying. It’s non-comedogenic and moisturizing, without being oily, leaving skin feeling soft and smooth. As the name suggests, it’s the best normal and oily skin types, and for some with combination skin. Due to its low-foaming nature, it doesn’t strip skin of natural oils, promoting skin health and healthy cell growth and protection. However, it may not be good for people with sensitive skin types. Pros: It’s fragrance-free and won’t clog pores. It also comes with an easy-to-dispense pump that makes it non-messy and reduces the chances of spilling and wasting the product. Cons: It isn’t recommended for those with very sensitive or dry skin, as it’s made specifically for normal to oily skin, indicated by its name. The cleanser and powerful acne treatment in a single formula are designed to treat and prevent breakouts in just one easy step. It’s a deep-cleaning, oil-free formula for cleansing deep into your pores to help anyone, with any skin type, get rid of acne. With only 2% salicylic acid, this gentle formula has special skin soothers that help prevent irritation and over-drying, leaving your skin feeling soft and smooth without the oiliness. Pros: Being that it is a cleanser and acne treatment combined into one sweet formula, you don’t need to expand your skincare routine too much in order to get results. Use it up to twice a day to enjoy, smooth, residue-free skin. Cons: Due to its higher amount of salicylic acid, this probably isn’t the best option for anyone with sensitive skin or skin that’s prone to being dry. This top-of-line cleanser is one that really works amazingly for normal, combination and oily skin types. It’s a foaming face wash with 3% sulfur that makes your skin visibly clearer without drying it out. It removes blemishes, unclogs pores, draws out impurities all while calming redness and reducing excess sebum production. The sulfur in it helps to prevent future breakouts and tames even the worst acne breakouts. Pros: Made with sulfur, this formula delivers shocking results in a fast window of time. Many users have reported seeing significant results within a week. Cons: In order to mask the funky smell of the sulfur, the main acne-killing ingredient, the product is quite infused with fragrance, which some user reviews indicate may be a bit over-powering. Made with pore-penetrating technology, this acne cleanser removes dirt and oil, making your skin clearer with use. It helps prevent future breakouts long after you’ve washed your face by depositing acne medicine deep into your pores. Made with 10% benzoyl peroxide, this cleanser is great for normal, oily and combination skin. Pros: Benzoyl peroxide is one of the top acne-killing ingredients in many successful face washes, and with the right skin, it can keep acne at bay. Cons: Made with 10% benzoyl peroxide, this formula is NOT made for those with sensitive skin. Even people with normal and oily skin types may find this product drying and it is recommended you spot test before using it on your entire face. A purifying gel cleanser made with 99.4% natural ingredients, this face wash is clinically proven to wash away excess oil, impurities and the bacteria that causes acne. It’s made with salicylic acid naturally derived from willow bark extract, evening primrose and beet root extracts that reduce acne, prevent future breakouts and calms acne prone skin. Best for oily skin types, this face wash helps to keep you oil-free without making your dry or irritated. Pros: Made with natural ingredients and medicine derived from willow bark extract, this is a perfect choice for those who prefer to go more natural and organic with their skin care. It’s also not a foaming cleanser, like many of the other washes on this list. Cons: While everyone may fancy the idea of an organic, natural, acne face wash, only the ones with oily or combination skin types get to enjoy this. It’s not recommended for sensitive or dry skin. Remember, when making the choice to buy a certain face wash, always consider your unique skin type. A face wash tailored to your skin type will give you the best results, and help you clear up your acne. Also, keep in mind that a good face wash is only one important step in a system of skin care for clear and healthy skin. With the right adjustments, you can achieve that glowing, beautiful skin you know you deserve. Aside from the obvious fact that a good face wash can help heal acne and pimple-prone skin, your choice of facial cleanser really matters when you’re trying to get rid of acne. For starters, the wrong face washes can cause acne, or at least, make yours a lot worse. Throughout the day, your skin does come into contact with a lot of dirt and grime, and it also secretes sebum – an oily, waxy, fatty substance that keeps your skin waterproof and lubricated. Oily skin is the result of an excessive amount of sebum secretion, and most soaps are designed to remove that oil from your skin. However, your skin actually needs some of that sebum to function normally. Without it, you end up with dry skin that tightens to create clogged pores and, ultimately, acne. Conversely, not using any facewash on your skin leaves you with the build-up of dead skin cells, dirt, grime and excess oils. While many others swear by using the simple combination of warm water and a facial cloth for their skincare routine, warm water isn’t always enough to penetrate your oil-clogged pores that have dirt and bacteria trapped inside. If you think you might disagree, imagine rinsing an oily, used frying pan with just warm water. Without a proper cleanser, you can’t cut into the grease buildup or eliminate harmful bacteria. The same applies for your skin. Using the right face wash matters because it’s about finding the right balance between removing troublesome dirt, bacteria, and oil while preserving the integrity of your skin. Even though it may be convenient to wash your face with whatever you have in your bathroom, there are a lot of reasons why you want to avoid that like the plague. Summed up in one word, those reasons are; ingredients. Because different people have different skin types, not all ingredients will work the same for everybody, but the general principle remains the same. Harsh soaps have ingredients that strip your skin of oil will put anyone at risk of pimples and clogged pores due to dry, tightened skin. Almost all body washes, no matter how gentle they claim to be, are designed to remove excess oils from your body quickly and easily. That includes removing dirt and oil from around tougher bodily hairs and pores. But the skin and hair on your face is nothing like the rest of your body. Facial skin is thinner than body skin, even though it has more sebaceous glands (glands that secrete sebum). This makes it more tender, more prone to acne and even more susceptible to aging. Thus, it has to be treated differently than the rest of your body. The best acne face washes are designed for a gentle cleansing that removes excess oil, dirt and dry skin, but they shouldn’t dry your face out. Instead, they should leave your skin feeling soft and moisturized. A complete skin care regimen to control acne usually starts with washing. The ideal face wash creates a soft creamy lather in warm water. It rinses off dirt, excess oil, and makeup, leaving the face ready for the next step in daily skin care, whether that is toner, moisturizer, exfoliant, sunblock, or more makeup. It is fragrance-free, and it does not create a foam, film, or tingly sensation on the face. Any product that foams and suds vigorously, like a detergent, is a strict no-no for acne treatment, especially on dry skin. Benzoyl Peroxide – A strong compound that kills the bacteria that causes acne. It also gets rid of excess oil and the build-up of dead skin cells which clog your pores. This ingredient is exceptionally strong, and it can cause some side effects like redness, dry skin, burning or stinging and scaling. You’ll only find it in products at 2.5% to 10% strength. However, dermatologists recommend that adults stick to a low-dose of benzoyl peroxide, at around 3% for minimal irritation and to avoid bleaching your skin, hair or clothing. Retinoids – Recommended for people with moderate to severe acne, retinoids can unclog your pores, allowing for your other medicated acne treatments to penetrate deeper. They can reduce your potential for outbreaks and the formation of acne scarring. You can also use a retinoid cream directly as a treatment after your face cleanse, or even take it in the form of a retinoid pill to treat oil/sebum production and to treat inflammation and acne-causing bacteria. Alpha-Hydroxy Acids – These are synthetic acids derived from sugary fruits that remove dead skin cells while reducing inflammation. The two common types that can be found in over-the-counter acne treatments are glycolic acid and lactic acid. Another benefit of these acids is that they improve the appearance of your acne scars and make your pores look smaller by stimulating the growth of new, healthy skin. Salicylic Acid – One of the most common topical ingredients you can find over-the-counter, salicylic acid is generally used to reduce the appearance of acne, by reducing swelling and redness. Also known as a beta-hydroxy acid, it exfoliates your skin and unclogs your pores, too, but it is quite strong. You’ll only be able to find this in strengths around 2%, but it can still dry and irritate your skin, especially if yours is sensitive. The safest way to use this ingredient is according to the directions! Sulfur – Not to be confused with irritating sulfates that can be found in some cleansers and treatments, sulfur is an element that can be quite good for your skin. It removes the dead skin cells and excess oils that clog your pores. But just like any chemical ingredient, too much of it can dry your skin out. You’ll likely find it coupled with other ingredients in your cleanser, like benzoyl peroxide, salicylic acid, and resorcinol. Resorcinol – Almost always found coupled with sulfur, this ingredient breaks down hardened, rough or scaly skin, while disinfecting and fighting infections. This ingredient is often used topically to treat pain and itching stemming from small injuries like scrapes and cuts, burns, bug bites, sunburn, poison ivy and more. It’s also used to treat skin conditions like eczema, seborrhea, psoriasis, warts, corns and other disorders. It is generally found in strengths of up to 2%. Licochalcone – A molecule found in licorice root extract, this anti-bacterial, anti-inflammatory ingredient helps control oil production. It helps to calm and soothe skin that is prone to acne and is quite safe for people with sensitive skin. It’s also considered ideal for people with combination skin. Feverfew – Commonly known as wild chamomile, feverfew is a plant that has been used for generations. It was once called “parthenium” by the ancient Greeks and is used to treat various ailments and disease. When it comes to your skin, feverfew is anti-inflammatory, reducing and preventing redness and swelling. It’s also high in anti-oxidants and can be consumed orally in the form of tea for added benefits, like healing your skin from the inside out. Tea Tree Oil – Another anti-bacterial ingredient that is common in over-the-counter treatments, tea tree oil combats acne-causing bacteria. While the FDA hasn’t officially approved it for acne treatment, some dermatologists say it’s almost as effective as benzoyl peroxide for clearing skin, although it doesn’t work quite as fast. It can be used for spot treatment as well. Ideally, you want to find an acne face wash and care system that utilizes a number of these ingredients, for best results. It can be a full system by a single brand, like Exposed Skin Care, or it can be a combination of products that you’ve tried and tested for yourself. The important thing to take away here is that there are several ways to treat your acne and knowing what each ingredient does will help you tailor the perfect solution for you. Additives that irritate: Parabens, Sulfates, Phthalates, Triclosan, and Antibiotics – These chemicals are often found in common cleansers. They are used as preservatives to make your products last and inhibits the growth of mold and harmful bacteria. However, they are big irritants to most skin types. Alcohol – Found in many toners and astringents, alcohol is often used to dry out oil, but it’s one of the worst things you can use. It actually thins your skin out, makes it extra-dry and actually kills your skin cells. This causes your pores to get clogged with dead cells and being constricted from becoming taut and dry. Mineral and Other Oils – Aside from tea tree oil, it’s best to keep from using most oils in your acne treatment. Oils seal in moisture but also clogs pores due to large molecules in it that your skin can’t easily absorb. This can make your acne worse. Although home remedies are generally convenient and popular, some have significant counterproductive effects on the skin. The famous Procter & Gamble product Ivory Soap is probably the world’s most frequently used acne face wash ingredient. It is also probably the world’s worst acne face wash ingredient. Often advertised as “so pure that it floats,” Ivory Soap is depicted with pictures of babies and fair-skinned blondes to imply that it is a good and inexpensive face wash for acne-affected skin. Nothing could be farther from the truth. The alkaline ingredients in Ivory Soap reach into the skin and dissolve the fats and ceramides that lock moisture in and keep the skin soft and flexible. Tight skin constricts pores, locking oil and acne bacteria inside. If you wash your face with Ivory Soap once or twice a day, you almost certainly will have no big pieces of dirt or grime lurking in enlarged pores, but you are likely to have an ongoing problem with whiteheads and blackheads, and the constant irritation will also make pimples redder and more inflamed. Probably the only thing worse for your skin than Ivory soap is to use shampoo or bubble bath to wash your face. The more bubbles the product makes, the more it will irritate your face. A few thin bubbles are OK, but it’s never a good idea to use a sudsy face wash. The second problem with shampoo for delicate skin is the sodium lauryl sulfate used in most products. You may see sodium lauryl sulfate spelled “sodium lauryl sulfate” or abbreviated as SLS on the label. Sodium lauryl sulfate is a terrific degreaser, especially if you are cleaning industrial machinery. If even a trace of sodium lauryl sulfate is left on the skin for more than an hour, however, the upper layer of living skin cells is irritated and dies. Tiny flakes of skin make the texture of the skin look uneven, and they can clog pores. The scent of sodium lauryl sulfate also causes your nose and tongue to be less sensitive to sweet tastes and their associated odors, so you will crave sugar. Knowing what is in your acne cleanser is important, but knowing how to pick the right cleanser for you also requires that you know your skin type. The type of skin you have will have a huge impact on your choice of acne treatment because it also plays a role in what causes your acne in the first place. Normal Skin – Skin that is well-balanced, hydrated and produces just the right amount of sebum. Dry Skin – Skin that doesn’t produce enough sebum, so it doesn’t retain moisture well and dries out. Dry skin tends to crack, peel, and become itchy, flaky, irritated or inflamed easily. Acne is caused by dead skin cells and bacteria clogging pores, while dryness tightens the pores to clog them further. The best acne face washes should exfoliate your skin, but shouldn’t dry it out further. Oily Skin – Skin that produces excess sebum, which clogs pores and seals dirt, oil and acne-causing bacteria inside. The best facial cleanser should rid your skin of the excess oil while exfoliating. Combination Skin – Skin that has a mix of both dry and oily skin. The best acne treatment in your face wash should be balanced to rid your skin of excess oil and exfoliate it, but it shouldn’t dry out your skin. Sensitive Skin – Skin that reacts to most chemicals and substances that typical normal skin can withstand. The best acne face washes for this skin type have minimal chemicals and preservatives. Natural extracts and ingredients are best for this skin type. To help you determine your skin type, you can take ask your doctor or a specialist. But if you’d like to know right now, this easy test will help you figure it out. Another factor that can help you determine what kind of acne face wash you buy is the type of acne you have, either non-inflamed or inflamed acne. If you have non-inflamed acne, it means you have a lot of blackheads and whiteheads, but not a lot of redness and swelling. Most common acne face washes can work well for you. If you have inflamed acne, you want to make sure you buy a facial cleanser that has the ingredients to reduce inflammation, swelling, and redness. But you also want to be careful not to buy or use anything that can cause irritation, dry skin and thus, more redness and swelling. These three brands of soap are usually available for US $1 a bar or less, and they will not irritate the skin. But they won’t do anything to repair it, either. If you can afford to spend a little more, then you can make choices appropriate to your individual skin type that can help you clear up acne a lot faster. Acne face wash options abound when your budget expands even to about US $25 a month for skin care. Even on that tiny budget, you can choose the products that are best for your unique skin care needs. If you have sun damaged skin or “surfer skin,” cleansers that contain aloe, chamomile, feverfew, licochalone, or salicylic acid (also labeled as “beta-hydroxy acids”) will help unclog pores. If you have oily, sensitive skin, you can also benefit from cleansers that contain salicylic acid or beta-hydroxy acids.” These will break up the sebum that has hardened and clogged pores. At the first sign of a pimple, use either benzoyl peroxide gel or a tea tree soap to stop the infection in its tracks. If you tend to allergies and rashes in addition to acne, consider neem soap. Usually costing about US $7 a bar in North America, Europe, Australia, and New Zealand (and a lot less in India, Pakistan, and Africa), neem counteracts the immune system hyperactivity that keeps the skin in a constant state of irritation. If you have dark brown spots where acne has healed, you absolutely, positively have to avoid any of the irritant ingredients listed above. Your product has to be gentle enough not to cause irritation and strong enough to remove makeup. If you are on a budget, then Black Opal Skin Perfecting Blemish Wash, Burt’s Bees Natural Acne Solutions Purifying Gel Cleanser, or Neutrogena Oil-Free Acne Wash will work well. ProActiv Renewing Cleanser or PanOxy soap cost a little more but help heal pimples. If you have rosacea, you will probably get good results from non-irritant formulas such as Cetaphil Daily Facial Cleanser or Eucerin Redness Relief Soothing Cleanser. If you have oily, tight skin and tend to get age spots or sun spots, try an exfoliant made with glycolic acid right after you cleanse your skin, no more than 4 or 5 times a week. Aveeno Positively Radiant Cleansing Pads provides just a “dab” of exfoliant that will help lighten the spots without irritating your skin (which over the long run would create new brown spots). Facial waters such as La Roche-Posay Thermal Spring Water are naturally rich in minerals, especially sulfur (a traditional anti-bacterial treatment) and selenium (which “calms” the skin). They are not an essential step in skin care, but they may be just that little extra something you need to achieve total success with your acne care program.